Coastal Country Jam - TICKETS ON SALE NOW! 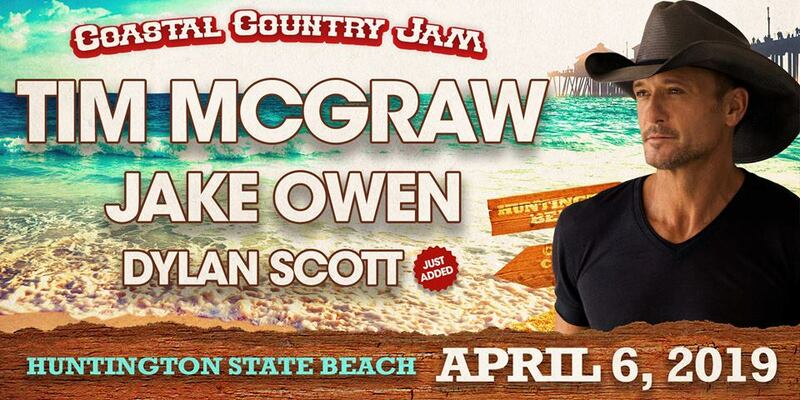 Coastal Country Jam is the largest country beach bash on the West Coast! This unique event takes place right on the beautiful beaches of Huntington State Beach in sunny, Orange Country, CA. Enjoy live country music with some of the world's biggest Country Music Mega Stars. Tim McGraw headlines the 2019 Spring edition with additional support from Jake Owen, Dylan Scott and more still to be announced!